You are the judge! If our work is not excellent, we will fix the item in question for FREE. If you are still not happy, WE WILL PAY one of our competitors that you choose to fix the issue. Absolutely nothing is more important than your complete satisfaction! 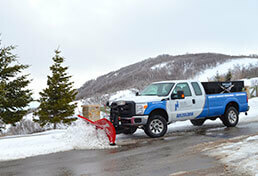 The Highest-Rated Lawn Care Company in Salt Lake City. Welcome to Holmes Lawn & Pest, the highest-rated lawn care company in Salt Lake City. Take a look at our Google reviews or talk to your neighbors and friends – our growing number of loyal customers can vouch for our professional work, cost-effective results and friendly prices. Whether you are interested in weekly lawn mowing, lawn fertilization and weed control, sprinkler repair, or you are looking for complete landscape maintenance, we are here to help you every step of the way. 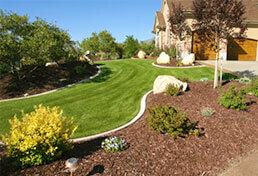 We take great pride in our dedication towards offering top quality lawn care services at affordable prices. Our key to success is a blend of high-quality client care, time-honored practices, rigorous personnel training, and our better equipment purchase policy. Together, we can accomplish more than just cleaning up your yard of leaves and weeds – we can transform it into your dream refuge. Because we always strive for excellence, there’s no room for compromise. Our services are all 100% risk-free guaranteed. This means that if at one point, you are displeased with one or more of our services, you can always ask our crew to perform them again, free of charge. Holmes Property Maintenance has always gone to great lengths to meet and exceed our customers’ demands because your satisfaction is our most precious asset right along side our team. 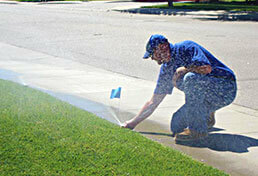 At Holmes Property Maintenance, we pay attention to those small details, often overlooked by other companies. Things like picking up the trash before mowing, switching mowing patterns every week, closing the gate, and blowing off your patio and front doors are very important to us. You can call us every day, 365 days per year. And if we cannot pick up at the moment, one of our operators will call you back a few minutes later. Our team consists of highly-trained and certified professionals. Each of them undergoes a thorough background check and drug testing prior to employment. Our team members operate at peak efficiency and we reward hard work and loyalty. This is why we pay our employees above industry average wages. But at Holmes Property Maintenance the first thing we care about is you and your project. This is the reason why, for its entire duration, your home, and your property will be protected by a $2,000,000 insurance policy. We also carry workers’ compensations, so they are fully covered while working on your property as well. Unlike other lawn care and landscaping companies requesting reimbursement for consultations, our company’s representatives will be more than happy to offer you a detailed consultation, free of charge. Why choose us? Because we care about our clients’ and we are willing to go that extra mile to ensure that you are happy. Our pricing is very competitive, and your satisfaction is more important to us than just doing the job. 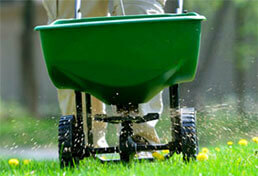 Do you have any kind of plans for your lawn and property? Then don’t hesitate to give us a call and talk about them! Ask for a free estimate and let our team make your dreams come true, risk-free and satisfaction guaranteed!